He made an official visit to Trincomalee to start sevaral development projects recently. Deputy Ministers Abdullah Mahroof and Ameer Ali, Anuradapura MP Ishaq Rahuman and other politicians joined the the visit. MP Abdullah Mahroof said Minister Rishad Bathiudeen faces many obstacles and several opposing parties make university students protest against the Minister.. He said MP Sampanthan has also initiated several acts against the Minister. 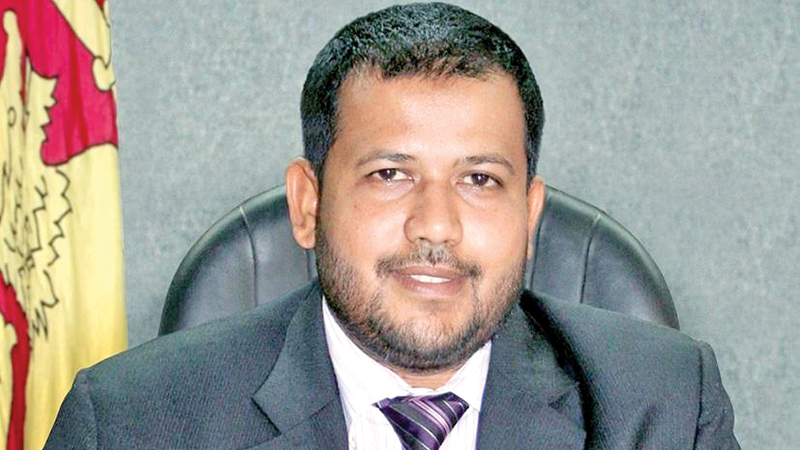 Minister Rishad Bathiudeen said that the law and order of the country will never be sidelined. He said several NGOs slid mud at him on the Wilpattu land issue. I preserved the forest but they accused me of deforestation, he said. He said several Buddhist monks initiate propaganda campaigns against him.